Thrilled about your daily work commute? Thought not. Get away from those worries with a holiday in Lakes Entrance, an excellent destination where you can unwind at your own pace. Roughly 6 000 people call this locality home. Melbourne, the state capital, is about 270 kilometres to the west of Lakes Entrance. Alternatively, Lake Bunga is 3 kilometres to the east. Whether you're known among your friends as a certified wine geek or simply appreciate a quality drop, the Wyanga Park Winery has all your needs met when it comes to delicious local wines. Lakes Entrance Lookout is a convenient place in which to escape the busy streets. Bring along something to eat or just watch the clouds roll by for a spell. Find out about the most interesting things to do in this region at Lakes Entrance Visitor Information Centre. While you and your children are out exploring the area, drop by Buchan Caves. This beautiful nature reserve is the ideal getaway from the hustle and bustle of the city. History lovers should make the most of the opportunity to visit the Griffith's Sea Shell Museum and Marine Display in Lakes Entrance. With its well-organised collections and friendly staff, it makes for a fascinating and educational way to fill in a spare afternoon. Among the most interesting remnants of the past here is Cunningham Foot Bridge. This venerable structure can be appreicated from either side of the river and will be sure to impress you with the quality of its construction. Work on your putting or simply take it easy at the nineteenth hole. You'll find plenty of great fairways, greens and bunkers in Lakes Entrance. The Lakes Entrance Golf Club and the Lakes View Golf Course are the area's premier courses. Located in Lakes Entrance, this beachfront apartment building is in the city center and within a 15-minute walk of Griffith's Sea Shell Museum and Marine Display and Ninety Mile Beach. Eastern Beach and Lakes Entrance Visitor Information Centre are also within 10 minutes. 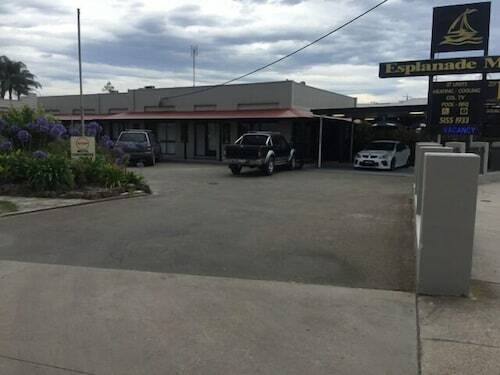 Situated in Lakes Entrance, this motel is within 1 mi (2 km) of Eastern Beach and Ninety Mile Beach. Griffith's Sea Shell Museum and Marine Display and Lakes Entrance Visitor Information Centre are also within 10 minutes. 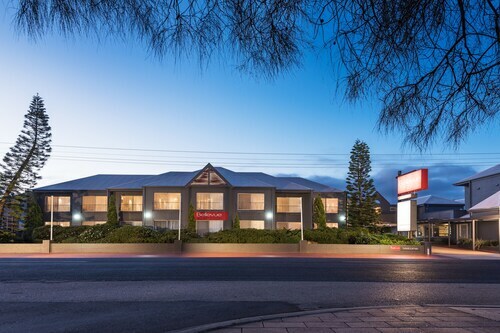 This family-friendly Lakes Entrance motel is located on the waterfront, within 1 mi (2 km) of Griffith's Sea Shell Museum and Marine Display and Ninety Mile Beach. Eastern Beach and Lakes Entrance Visitor Information Centre are also within 10 minutes. 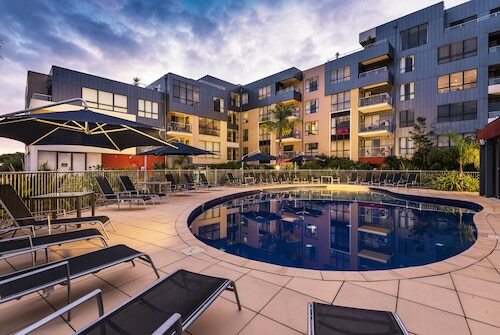 Situated in the business district, this apartment building is 0.3 mi (0.5 km) from Lakes Entrance Bowls Club and 1.7 mi (2.8 km) from Ninety Mile Beach. Cunningham Foot Bridge and Main Beach are also within 10 minutes. 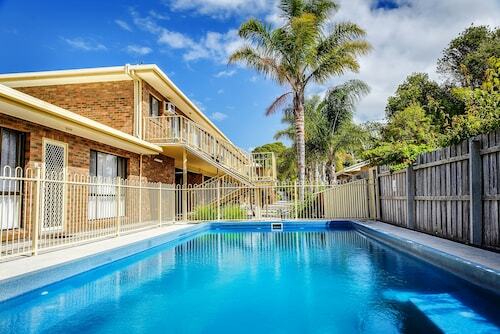 Situated in Lakes Entrance, this motel is within 1 mi (2 km) of Eastern Beach and Ninety Mile Beach. Griffith's Sea Shell Museum and Marine Display and Lakes Entrance Bowls Club are also within 15 minutes. Situated near the beach, this motel is within 1 mi (2 km) of Griffith's Sea Shell Museum and Marine Display and Ninety Mile Beach. Eastern Beach and Lakes Entrance Visitor Information Centre are also within 10 minutes.